Straker Lodges in Northumberland sleeps 6 people, with the accommodation being lodges. Straker Lodges are set in the heart of award-winning Kielder Water and Forest Park. 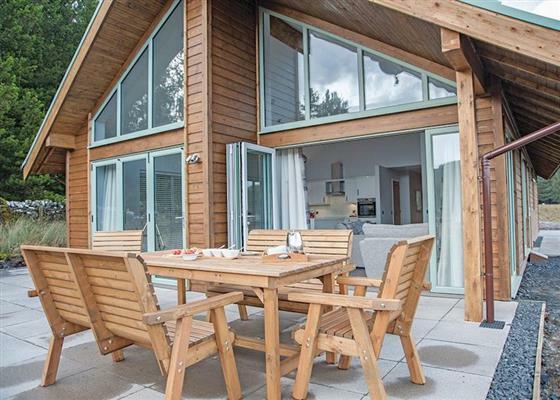 Some outstanding contemporary lodges, Straker Lodges unite luxurious living with breath-taking panoramic views to create a truly idyllic rural escape. Eco-friendly hot tubs – perfect for enjoying the famous Dark Skies – complete the picture, while numerous outdoor pursuits, sports, visitor centres, stunning vistas and heritage sites await exploration in the wonderful surrounding area. * Charges apply for some of the activities. If you want to find out what other people have said about Straker Lodges, read the reviews on Straker Lodges for more information. And, for those last minute bargains, have a look at some of the special offers available at Straker Lodges. Luxury chalet. One double with overhead hoist with ensuite bathroom with spa bath and separate shower/steam room and flat screen TV and one twin (can be linked to form double). Shower. Open plan living area with bi fold patio doors leading to terrace with barbecue and garden furniture. Outdoor hot tub. No pets. "Luxury chalet with one double with overhead hoist and one twin, both with access to ensuite Jack and Jill bathroom with bath and level entry shower. Shower. Open plan kitchen / lounge / dining area with bi-fold patio doors leading to terrace with garden furniture. Outdoor hot tub." "Ground floor: One super king size double with overhead hoist and ensuite shower, one king size double and one twin. Bathroom with whirlpool bath and separate deluge shower. Utility room. Open plan lounge/kitchen/dining area with woodburning stove, and bi-fold patio doors leading to large terrace with outdoor furniture and eco friendly wood burning hot tub. First floor: Spiral staircase to mezzanine seating area. Suitable for parties including visitors with partial disabilities – please check when booking." Find out about Straker Lodges, including prices and availability. There aren't currently any special offers at Straker Lodges however, the special offers shown below are all on parks within 30 miles of Straker Lodges - so you may find these useful. Holiday at The Derwent in Northumberland starting on Saturday 11 May 2019 for 7 nights. 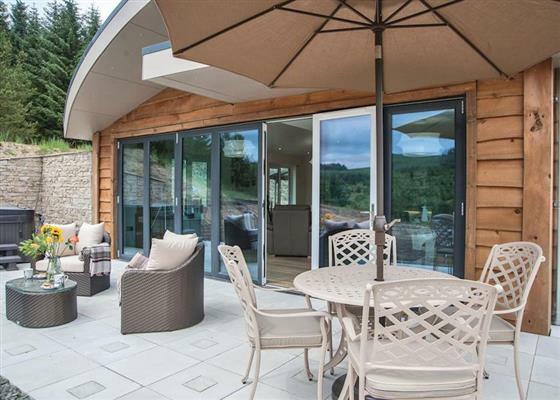 Holiday at The Allensford in Northumberland starting on Saturday 08 June 2019 for 7 nights. Holiday at The Derwent in Northumberland starting on Saturday 08 June 2019 for 7 nights. Holiday at The Slaley in Northumberland starting on Saturday 08 June 2019 for 7 nights. Holiday at Lilliards Lodge in Roxburghshire starting on Saturday 21 September 2019 for 7 nights. There are 32 holiday parks within 5 miles of Straker Lodges. Jebel Kasr in Keswick, Lake District, and sleeps 2 people. 46 miles. Inglecroft in Wigton, Cumbria, and sleeps 15 people. 43 miles. Lenys Cottage in Middleton-in-Teesdale, Durham, and sleeps 7 people. 41 miles. 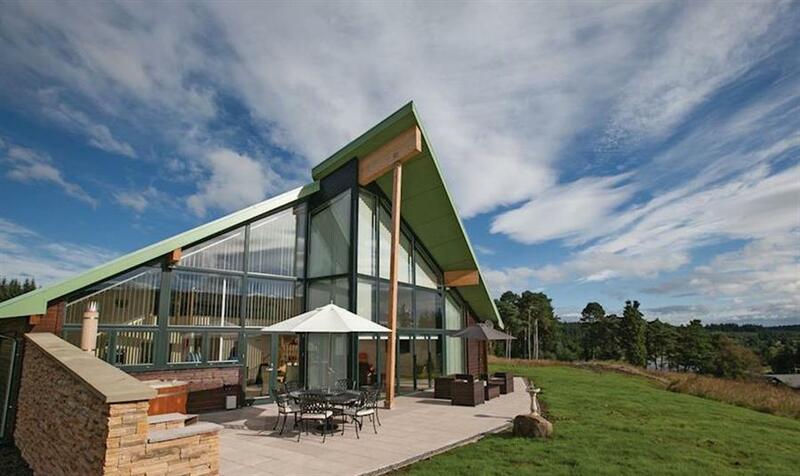 Greenswangs House in Lockerbie, Dumfriesshire, and sleeps 8 people. 36 miles. Springfield House in Middleton-in-Teesdale, Durham. 41 miles. Bowser Hill Farm Cottages - High Pasture Cottage in Newcastle-upon-Tyne, Northumberland. 32 miles. Chaswell House in Morpeth, Northumberland, and sleeps 10 people. 32 miles. Hollow Creek Cottage in Carlisle, Cumbria, and sleeps 2 people. 26 miles. Marthas Shore Cottage in Dumfries, Dumfriesshire. 42 miles. Algars Garth in Penrith, Cumbria. 37 miles. Cumberland Cottage in Orton, Cumbria, and sleeps 2 people. 48 miles. Starlight House in Whitley Bay, Tyne And Wear, and sleeps 4 people. 42 miles. Corn Meadow in Kirkby Lonsdale, Cumbria, and sleeps 4 people. 27 miles. Shutters in Beamish, Durham, and sleeps 4 people. 40 miles. Bridge End Bothy in Wooler, Northumberland, and sleeps 4 people. 33 miles. Top Byre in Bishop Auckland, Durham, and sleeps 2 people. 32 miles. Alncroft in Longhoughton, Northumberland, and sleeps 6 people. 40 miles. Quarry Cottage in Corbridge, Northumberland, and sleeps 2 people. 33 miles. Reiver Cottage in Alnwick, Northumberland, and sleeps 4 people. 37 miles. Iris Lodge (Deluxe) in Amble, Northumberland, and sleeps 10 people. 38 miles. Rothley Lodge in Morpeth, Northumberland, and sleeps 10 people. 24 miles. The Wee Byre in Dumfries, Dumfriesshire, and sleeps 6 people. 47 miles. Donkey Barn in Morpeth, Northumberland, and sleeps 8 people. 36 miles. The Refuge in Appleby, Cumbria, and sleeps 5 people. 44 miles. Bridge End Farm in Wooler, Northumberland, and sleeps 12 people. 33 miles. Blackthorn Cottage in Middleton-in-Teesdale, Durham, and sleeps 4 people. 43 miles. The Mill House in Earlston, Berwickshire, and sleeps 10 people. 34 miles. Netherend in Keswick, Cumbria, and sleeps 10 people. 42 miles. Tarset Tor in Hexham, Northumberland, and sleeps 20 people. 8 miles. Edmond Castle in Brampton, Cumbria, and sleeps 10 people. 20 miles. Reapers Cottage in Bamburgh, Northumberland, and sleeps 6 people. 43 miles. Mill Moss Barn in Ullswater, Cumbria, and sleeps 4 people. 46 miles. 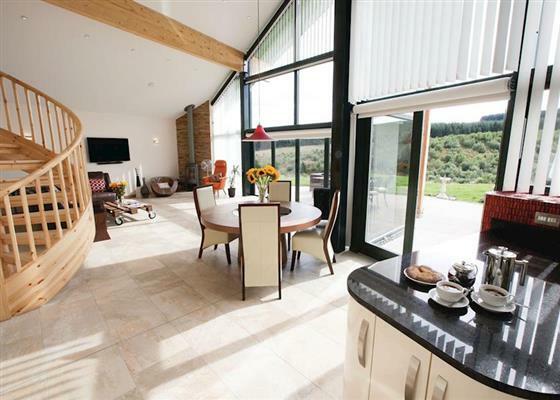 Tipstream in Norham, Northumberland, and sleeps 4 people. 41 miles. Wood Hall Estate in Cockermouth, Cumbria, and sleeps 18 people. 47 miles. Ingleston Cottage in Moffat, Dumfriesshire, and sleeps 4 people. 37 miles. The Old Joiners Shop in Alnwick, Northumberland, and sleeps 5 people. 40 miles. Doray in High Newton-by-the-Sea, Northumberland, and sleeps 7 people. 43 miles. Scarfoot in Patterdale, Cumbria. 46 miles. Borrowdale View in Keswick, Cumbria, and sleeps 12 people. 45 miles. Craster Cottage in Beadnell, Northumberland, and sleeps 6 people. 44 miles. Skal in Beadnell, Northumberland, and sleeps 6 people. 44 miles. Paradise Lodge in Alnmouth, Northumberland, and sleeps 7 people. 39 miles. Housekeepers in Middleton-in-Teesdale, Durham. 41 miles. Spring Bank in Penruddock, Cumbria, and sleeps 11 people. 40 miles. Hill Head in Bamburgh, Northumberland, and sleeps 10 people. 44 miles. Luckenburn in Jedburgh, Roxburghshire, and sleeps 6 people. 16 miles. Yew Tree Farm in Penrith, Cumbria, and sleeps 15 people. 42 miles. Thornhill in Belford, Northumberland, and sleeps 6 people. 37 miles. Trencrom in Alnmouth, Northumberland, and sleeps 8 people. 39 miles. The Old Workshop in Alnwick, Northumberland, and sleeps 2 people. 40 miles. Berkeley House in Keswick, Cumbria. 46 miles. Ingle Neuk Cottage in Keswick, Cumbria, and sleeps 4 people. 38 miles. Mole Cottage in Hexham, Northumberland, and sleeps 10 people. 30 miles. Tilly-Ho in Seahouses, Northumberland, and sleeps 6 people. 45 miles. Larchwood in Greystoke, Cumbria. 35 miles. Croft House Barn in Blindcrake, Cumbria, and sleeps 12 people. 45 miles. The Old Rectory in Uldale, Lake District National Park, and sleeps 8 people. 40 miles. Croft House Cottages in Keswick, Lake District National Park, and sleeps 4 people. 45 miles. Bramble Cottage in Craster, Northumberland Coast, and sleeps 5 people. 43 miles. The Old Forge in Alnwick, Northumberland, and sleeps 4 people. 37 miles. Belses Muir Shepherds Cottage in Ancrum, Scottish Borders, and sleeps 6 people. 24 miles. Ebbe Retreat in Beadnell House, Northumberland, and sleeps 4 people. 44 miles. School Hall on the River in Warkworth, Northumberland, and sleeps 4 people. 39 miles. The Dale Manor in Allendale, Northumberland, and sleeps 18 people. 22 miles.